Call Toll Free 1.800.944.7853 to confirm reservations within 48 hours of tour time. Are you wild enough to take on The Sasquatch®? This monster single zipline experience is the longest zipline in Canada & the USA! The ultimate zipline experience spanning a mind-blowing distance of 2+ Kms. Experience spectacular views and over 7,000 feet of pure eco-exhiliration! - Note: The Sasquatch® Tour does not operate during Winter months. With only a head lamp and the soft glow of twinkling lights in the distance, let your imagination run wild as you soar through the night on this unique Whistler winter adventure. This is the ultimate way to experience the old growth rainforest under the stars. 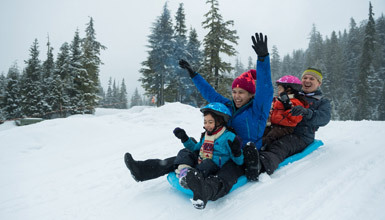 This is the perfect apres activity! Family price is based on 2 adults and 2 youth. For families of 4+, please call for rates. 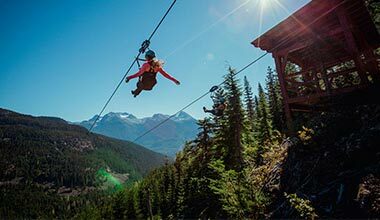 Superfly combines the exhilarating feeling of soaring through the air with the breathtaking beauty of Cougar Mountain and the Whistler Valley. A sightseeing journey on the world-record breaking Peak 2 Peak Gondola, coupled with an exhilarating Ziptrek Ecotour! Combo also available for Eagle Tour. Combine a sightseeing journey on the world-breaking PEAK 2 PEAK gondola, coupled with Ziptrek’s Twilight tour through the ancient rainforest above Fitzsimmons creek. If youre looking to combine The Sasquatch® with any other Ziptrek products - this can be done at a savings by purchasing the combo option. - Note: The Sasquatch® Combo Tour does not operate during Winter months. Combine a sightseeing journey on the world-breaking PEAK 2 PEAK gondola, coupled with the exhilarating Eagle Ziptrek Ecotour through the ancient rainforest above Fitzsimmons creek. For those who are never satisfied with the standard offerings, this ten-zipline Mammoth tour combines both the Bear and Eagle tours in succession. Book your Ziptrek tour up to 72 hrs in advance and Save 15%. Combine a sightseeing journey on the world-breaking PEAK 2 PEAK gondola, coupled with the ten-zipline Mammoth tour . *Some tours are seasonal dependant. Tour times booked online are subject to change, based on availability. 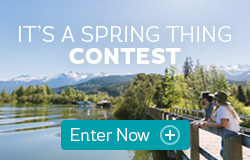 Should your selected time be unavailable, Whistler.com will contact you within 24 hours to notify you of the change. Prices are also subject to change. Valid on 3 PM and 4 PM tours, Monday - Friday. Blackout dates apply. Save up to 30% on Zipline Tours. Valid on 2019 Summer tours. Book by May 31, 2019. Save up to 25% on Bear, Eagle, Mammoth and Sasquatch tours. Book by May 31, 2019. What is the difference between Ziptrek Ecotours and Superfly Ziplines? 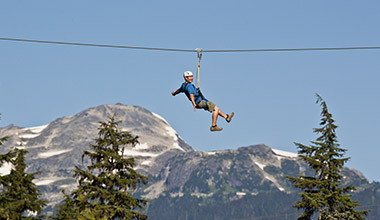 Superfly Ziplines are located about a 10 minute drive north of Whistler Village in the Cougar Mountain area. A roundtrip shuttle from the Village is included. Superfly Ziplines use a sit in harness and they have a unique system that allows two guests to ride side-by-side, each on their own cable. You will not be able to bring a backpack or any other baggage on tour with you. You will be wearing a full body harness and backpacks will interfere with this harness. In addition we do not want anyone to lose of drop anything while zipping! Please leave all personal belongings at your hotel, small item storage is available for Ziptrek guests. Free lockers are available for Superfly guests. With the exception of The Sasquatch® Tour, Ziptrek Ecotours run all year round in all weather conditions. 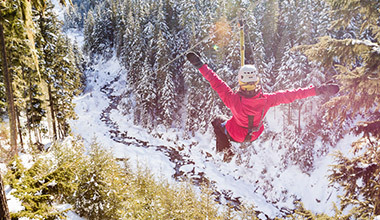 Superfly Ziplines winter seasons starts mid December and run daily until mid April. Superfly Ziplines and Treetops Adventures are open daily in summer from May until mid October. Superfly Ziplines: Minimum of 7 years old and 60 lbs. ; maximum weight of 250lbs. People with severe neck, back or other injuries are not recommended to participate. You are required to meet 15 minutes prior to your scheduled tour time. 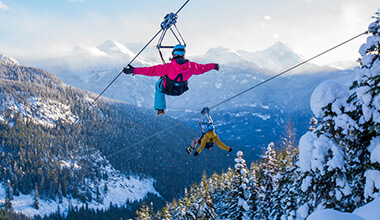 The Superfly Ziplines check in desk is located inside The Adventure Group storefront: #211 - 4293 Mountain Square, near the Whistler Village Gondola. Right beside Rocky Mountain Chocolate Factory. 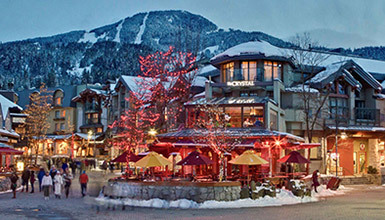 Guests are also able to check-in at the Fairmont Chateau Whistler. How long is the tour and when are departure times? Superfly Ziplines tour time is 3 hours round trip. Tours depart every 30 minutes from 9am to 5pm. 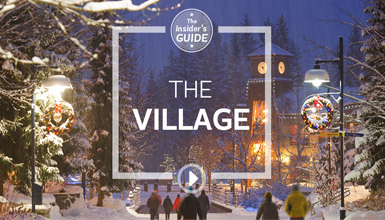 With so much to see and do in the Village, where do you start? Whistler Insider Feet Banks and adventurer Robin Esrock have some ideas for you.